2 Do Dwarf Rabbits Make Good Pets? Who does not like furry or cute little babies, especially in the animal kingdom? We are all guilty of this love. But, what if I told you there was even a more adorable creature out there, one that will have you running for your cameras. Today, it's all about dwarf rabbits, not the pesky ones. Can't wait to take a look? Then let's start! Dwarf rabbits are said to be the smallest species of hares on the planet due to a gene that hinders their ability to develop, yet not all are similar. The three most popular breeds of dwarf rabbits are the Britannia Petite, the largest of all, whose curiosity makes the hearts of many leap with joy; the Dwarf Hotot, a snowball of wonder, whose upright ears mix almost religiously with a narrow band of color around both eyes; The hued Netherland rabbit remains loyal to the trends of society. They are so cute and adorable that could be the reason why America finds them so addicting. Originating in Europe, these docile creatures have become a staple in households around the world. Do Dwarf Rabbits Make Good Pets? Dwarf rabbits are so adorable but can they be good pets? Actually dwarf rabbits do make great pets. What's more, sources have reported that dwarf rabbits are ranked third amongst pet sales in America. And these rabbits have an average life expectancy up to ten years, if maintained well. Now let's delve deeper to understand dwarf bunnies on an intimate level. Dwarf rabbits' intelligence level sets them apart from the rest. They can be trained to use litter box and understand some simple commends. Besides, dwarf bunnies have different colors that will make you smile by just looking at them. Due to its cuteness and popularity, dwarf rabbit has come to great attention and danger lurks in shadows. Dealers have been thrust in the spotlight due to neglect of repeated offenses. Many dealers sell unhealthy and ill rabbits which may die after stay with you for some short time. To avoid this, it is wise to ask for other purchasers' comments before buying a rabbit from a dealer. In light of all that has transpired, one will find a checklist of hygienic things to look out for when purchasing this pet. Ears should appear clean. A crusty, brown look may mean there are mites on the rabbits. Eyes: Nothing should appear out of order. 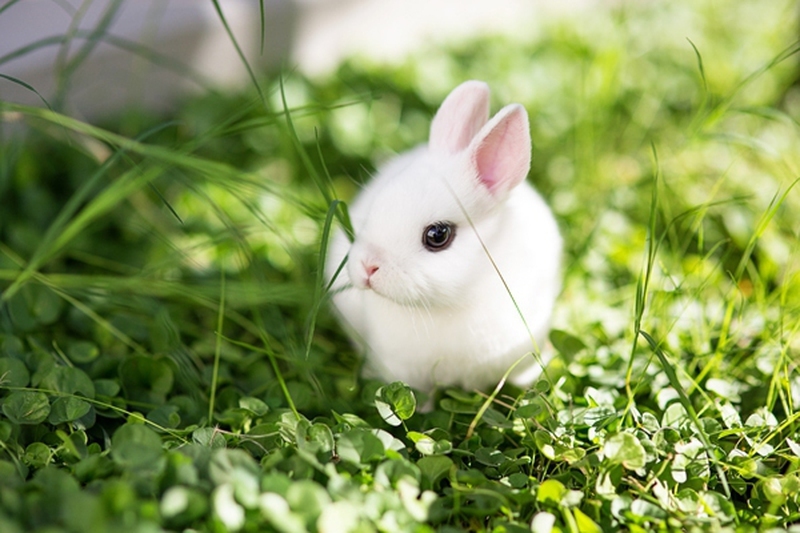 Rabbits shouldn't have any discharge or cloudiness which could mean the dwarf rabbit is blind. Nose should be clean and dry at all times. A runny nose combined with wet or crusty fur on the front legs may mean the rabbit gets a cold or other serious disease like snuffles. Teeth: The front of dwarf rabbit's teeth should slightly overlap at the bottom. If one set of their teeth is abnormally long, it means the rabbit get malocclusion, which make the animal can't chew properly. These teeth will grow into the mouth if not trimmed regularly. Feet: Legs should reach straight out with five toenails in front and four in back. Besides, redness at the bottoms could indicate sore hock, which is caused by poor cage sanitation or the wire floor of the cage. Place a board under the cage to avoid this. Body should be clean, smooth and firm at all times. Check for any abscesses or bowel build-up to rule out dietary and other problems. First buy an indoor cage and fill it with all the pleasantries a rabbit could want, like newspaper, a litter box, a hideaway, a food bowl, hay rack and a water bottle. An exercise pen is good for the health of rabbits. So do additional research and learn how to build one inside your house. To make it simpler, just place the exercise pen outside on the lawn that is unfertilized and has no other animals. Your dwarf rabbit should always have an unlimited supply of fresh hay. And Timothy hey benefits rabbits over 7-week year old. 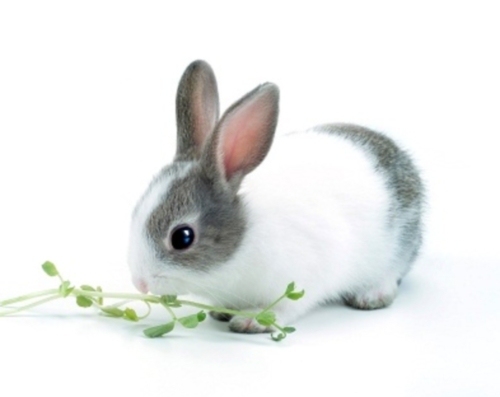 Choose a good brand of rabbit food to avoid extra sugar or seeds. Per 5 pounds of rabbit need 1/4 cup of pellets. 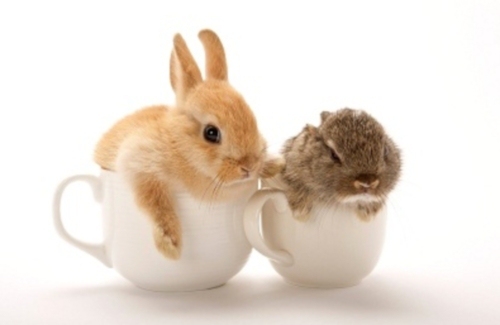 Give your rabbits 2 cups of green every day, which should include carrot, strawberry, banana, apple and the like. You avoid the kind of toys that's for teething, but opt for rattles, keys and other hard, plastic toys that rabbits can't chew apart. Collect cardboard tubes and fill it with hay or place the cardboard in the cage so the rabbit could enjoy sometime in it. You can always make a hideaway by cutting windows and doors at the bottom of a cardboard box. Another idea involves a plastic Easter egg. Fill it with dry rice, and then shut it with hot glue. Your rabbit will have hours of entertainment; just be sure to remove it at night lest you intend on having sleepless night. Server responsed at: 04/19/2019 11:25 p.m.